Know as 'paniers mannequin' in France these antique wicker baskets are early 20th century. 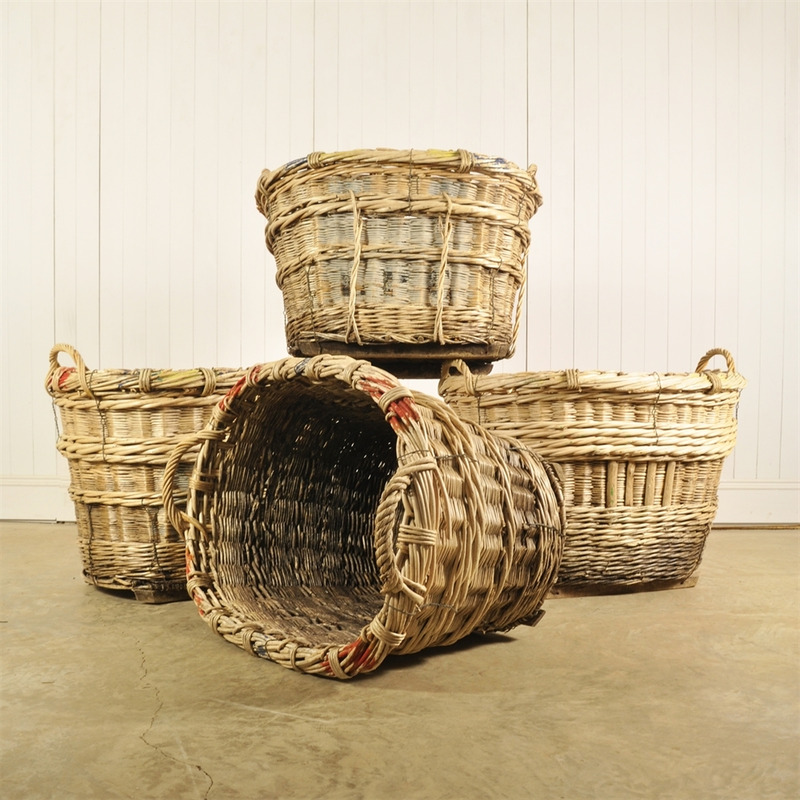 These large wicker baskets were used for collecting the grapes off the vines and then carried back to the press. Due to the size of these and the weight of grapes that they would have held, they are very well made and extremely robust. They do show signs of their age as well as some old re-treated woodworm in a few places. Masses of character, they would make lovely log baskets. 3 @ 66 cm h x 67 d x 87 w.
1 @ 58 cm h x 63 d x 82 w.